Lambrusco & Malvasia from Camillo Donati. Camillo Donati. Photo by Julian Alexander. The range of vines at the estate also include: aromatic Sauvignon Blanc, Moscato Giallo, and Barbera. They also have a little of Trebbiano, Pinot Blanc, Merlot and Cabernet Franc. All the grapes are vinified and bottled separately. 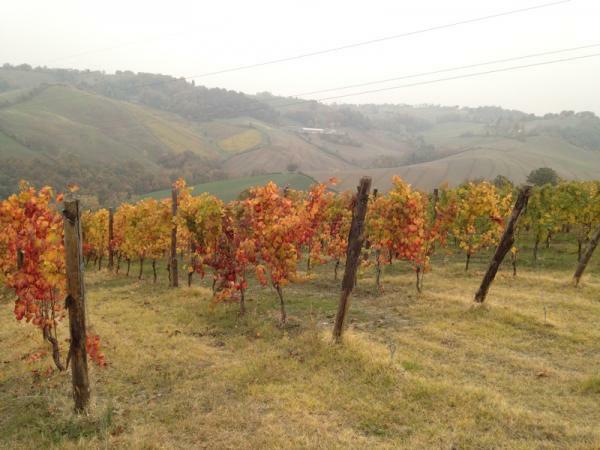 This interview with Camillo Donati took place in his tasting room in November, 2011. It was conducted by Kevin Mckenna, and translated by Pietro Straccia. This visit with Camillo Donati took place in November, 2011. We began our visit at Camillo's new cellar, which conveniently overlooks his vines. 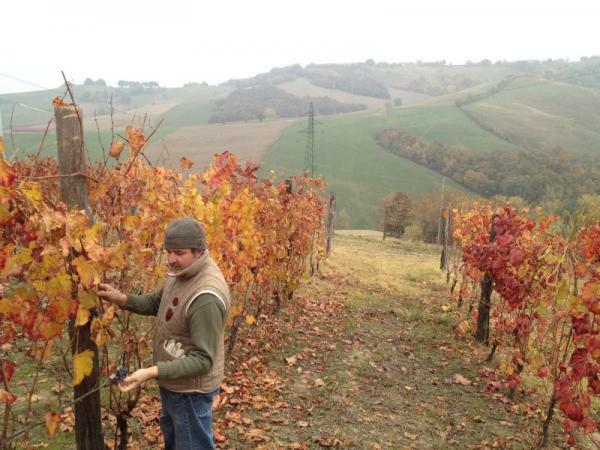 After tasting some 2011 tank samples, Camillo kindly explained his vinification process. 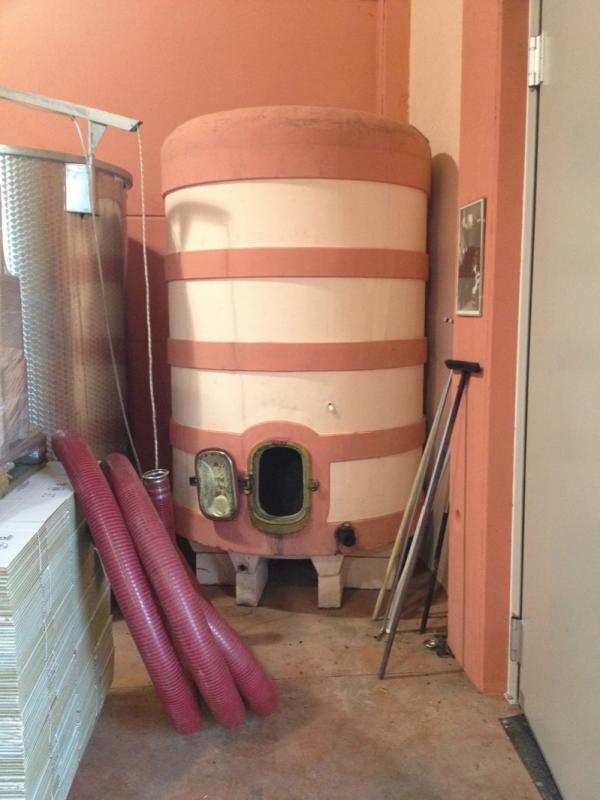 Everything begins in an old concrete tank from 1968 that originally belonged to Camillo's mentor Ovidio (the "Ovidio" cuvée, made with Corvina grapes, is named after him). 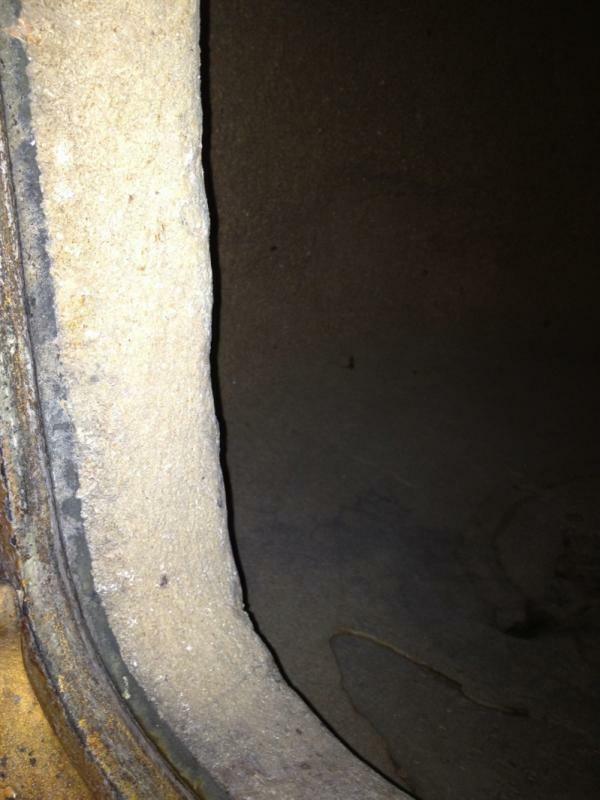 The tank has only ever been washed with hot water, and has accumulated over 40 years of tartaric deposits, which is one of the secrets of Camillo's process (the Baudrys do the same thing with their concrete tanks). In this tank he makes a pied de cuve for each varietal. The juice remains in this tank for a maximum of 3 days for the whites and 7 days for the reds. The rest of the grapes are then harvested, destemmed, pressed and placed in stainless steel vats on the skins. After fermentation, he racks off the gross lees but keeps the fine lees, which are essential for the wines to re-ferment in bottle. If the residual sugar is where he wants it to be (12-18 g per l), he leaves the wines as is, but since he lets them reach their maximum alcoholic fermentation, the wines are often dry so he blends it with his Malvasia Dolce. "Those who have settled for methode charmat are missing out on the beauty of life and have settled for monotony." We then checked out the vines, which have all been planted by Camillo in Guyot on heavy clay soils. We ended the visit by tasting the 2010's, which took longer than usual to referment and have just been released (they should just be getting to the States). We tasted the only way one should when drinking Donati: alongside local panchetta and aged Parmesan (a 24 month, a five year and a 10 year). The 2010's are spot on, particularly the Malvasia Rosa (with 5% Barbera) and the very lively and fresh Lambrusco. IGT Emilia "Il Mio Rosso"
Louis/Dressner Visit Recap, November 2011.